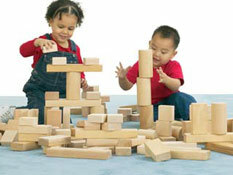 Select from a variety of solid wood building blocks. 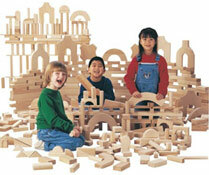 Choose from a number of sets in a variety of shapes and sizes. 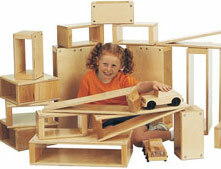 Storage shelves and bins are also available. Eco-friendly processes and traditional craftsmanship result in classic school furniture that includes a lifetime factory warranty. Non-toxic, non-yellowing finish. of natural Baltic Birch school furniture.